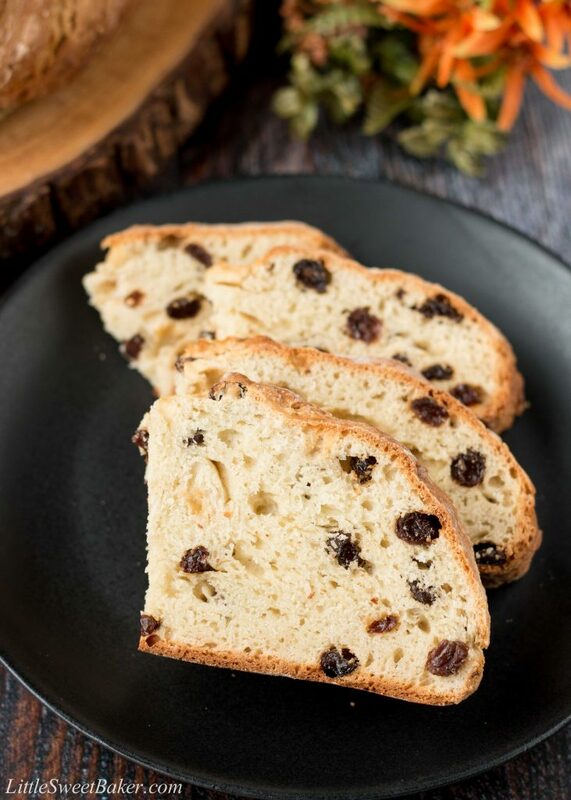 This bakery quality Irish soda bread has a soft, moist and chewy center with a wonderfully crusty exterior. The best part about this no-fuss recipe is that you can have freshly baked bread in under an hour. I love homemade bread. Especially one that can be prepared from start to finish in no time. 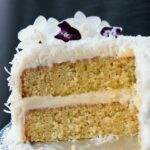 This effortless recipe from Simply Recipes is just flour, salt, baking soda, buttermilk and an egg. 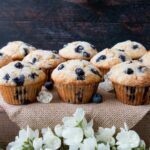 You can add some raisins and a touch of sugar if you like or leave it plain. I like it mine with raisins. 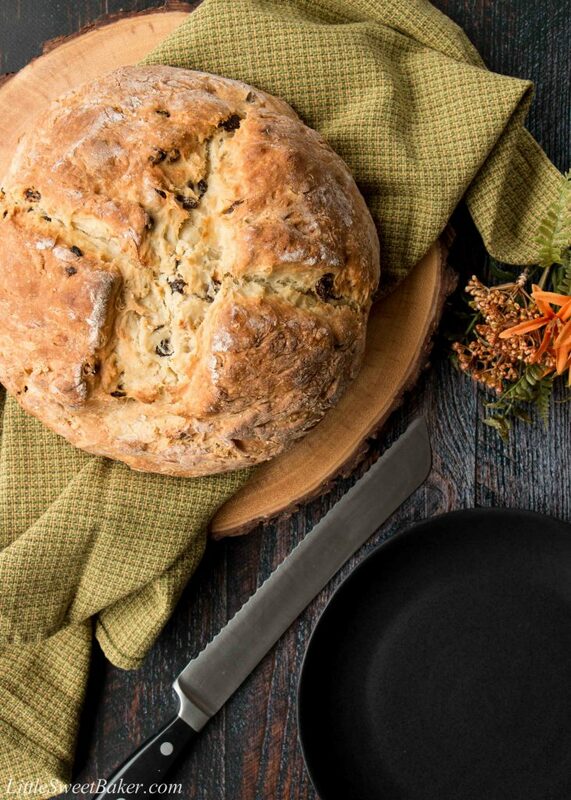 This Irish soda bread is all prepared in one bowl. There is no yeast in the recipe, which means there is no kneading and waiting, then kneading and waiting again. 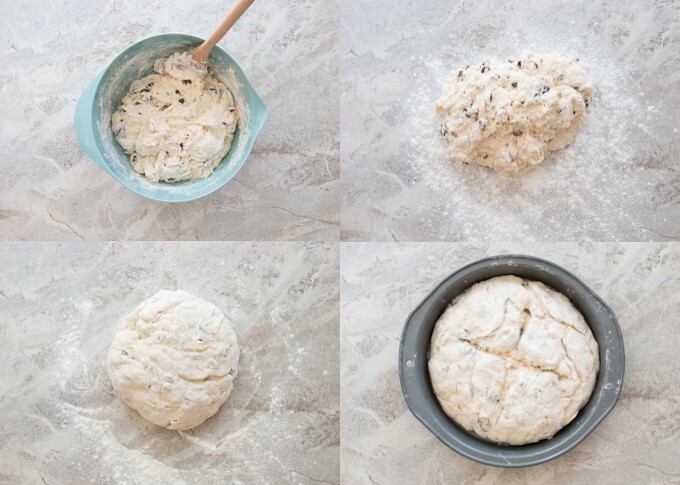 You just mix everything in a bowl, knead once, and bake. The result is a lovely crusty bread with a nice soft crumb center. You start by working the butter into the flour mixture with your hands until it resembles coarse meal. Then you toss in the raisins and sugar if using, add in the buttermilk and egg, and stir until the dough forms. Turn the dough out onto a floured surface, knead just a few times to gather the dough into a round circle. It will look very rough and shaggy, which is what you want. If you over-knead the dough the bread will be tough. 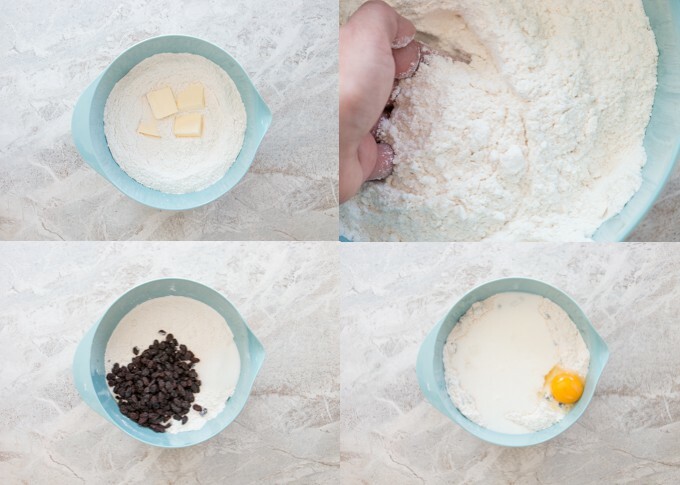 Transfer the dough to a lightly greased and floured 9″ round baking pan. Score a deep X into the dough with a sharp serrated knife and bake for about 35 minutes. 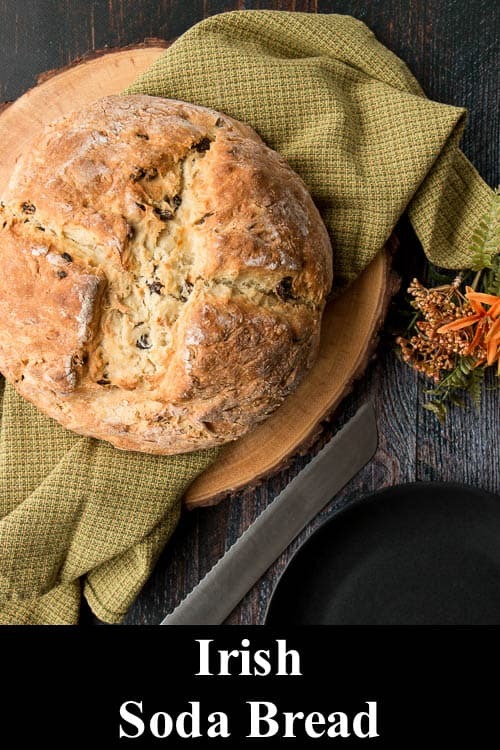 Irish soda bread is best served warm and fresh out of the oven. This Irish soda bread is fragrant with a light buttery scent, and there is a subtle richness from the egg. It also has a light toasty smell from the crust. 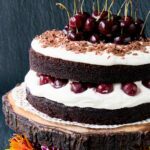 The center is soft and the taste can be made sweet or savory. 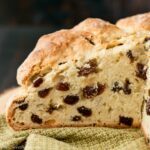 This bakery quality Irish soda bread has a soft, moist and chewy center with a wonderfully crusty exterior. Preheat oven to 425F. Lightly grease and flour a 9″ round baking pan. Set aside. Work the butter into the flour mixture using your fingers until it resembles coarse meal. Toss in the raisins and sugar if using. Make a well in the center of the flour mixture. Add beaten egg and buttermilk and mix in with a wooden spoon until dough comes together. Add a little more flour (2-4 tbsp) if the dough seems too wet. Turn dough onto a floured surface and gently knead to form into shape of a loaf. Note that the dough will be a little sticky, and quite shaggy. You want to work it just enough so that the flour is just moistened and the dough just barely comes together. Shaggy is good. If you over-knead, the bread will end up tough. Transfers the dough onto the prepared baking pan. Using a sharp knife, cut an X along the top of the dough about 1″ deep. Bake for 35-45 minutes or until a thin skewer inserted into the center comes out clean. Cool in pan for 5-10 minutes, then transfer to cooling rack. Best served warm and just baked. Leftovers can be stored at room temperature tightly wrapped in plastic wrap. Please note soda bread dries out pretty quickly, so it’s really only good for a day or two.